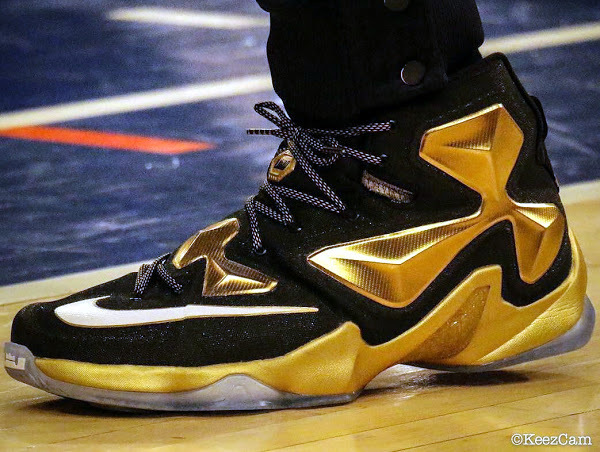 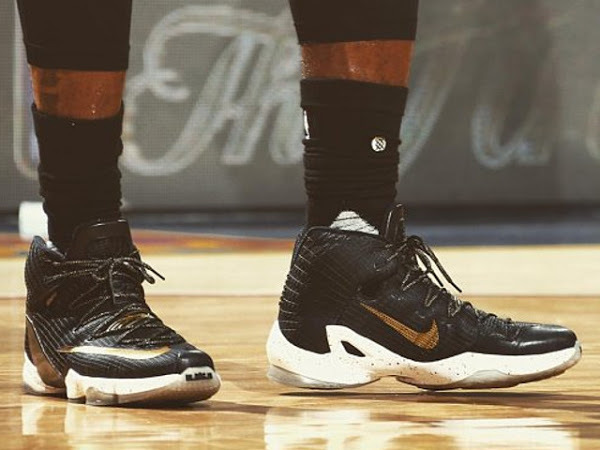 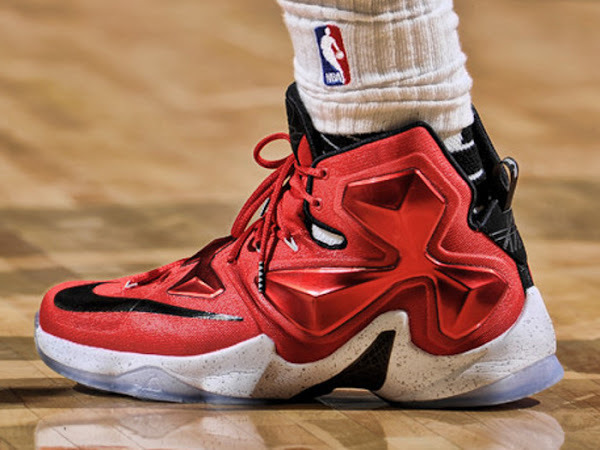 It’s a common thing for LeBron James to wear Player Exclusive models in-game. 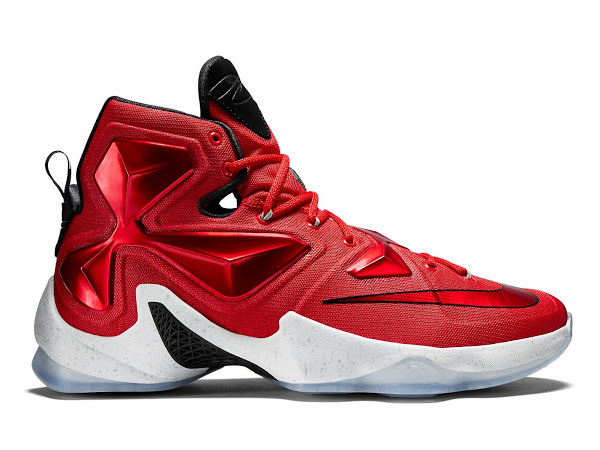 Even when it’s not an entirely new style his GR counterparts are usually modified for better exposure. 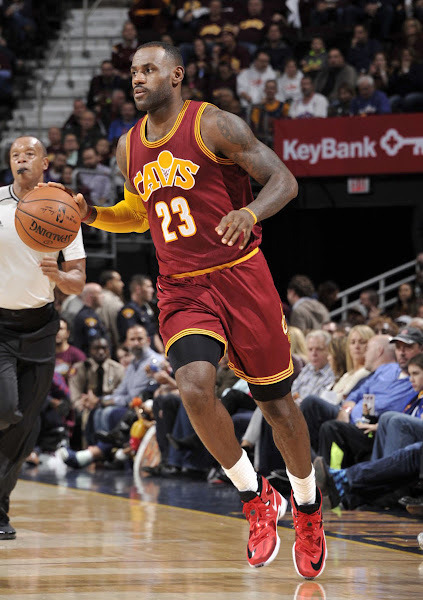 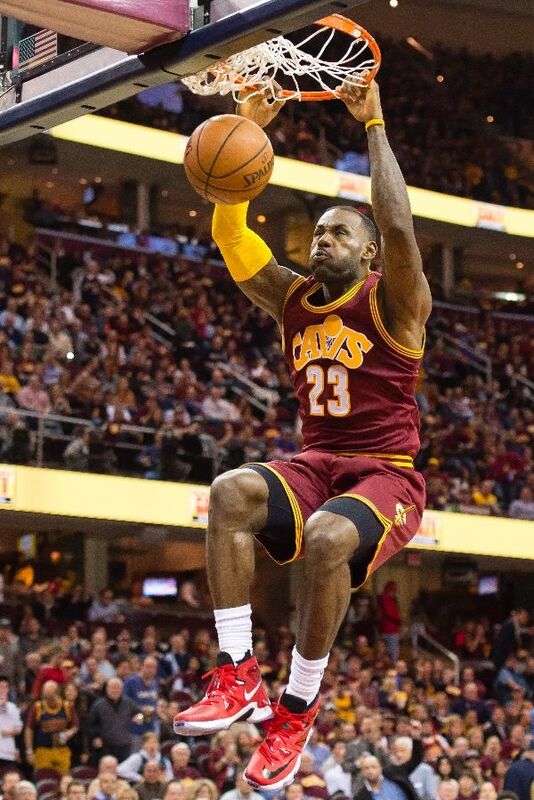 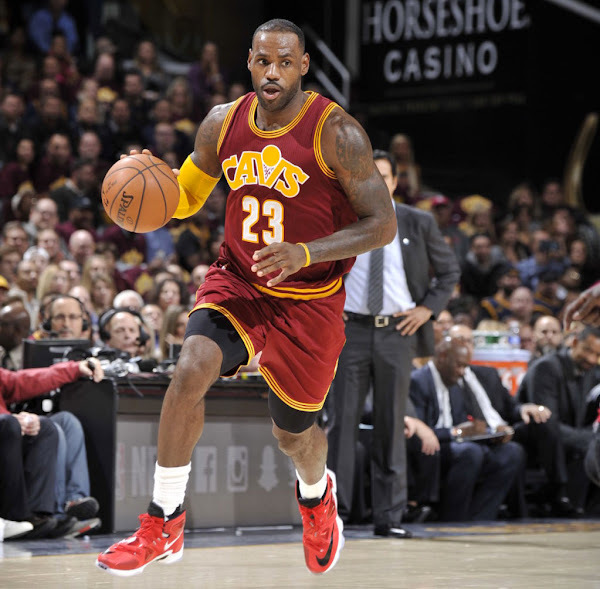 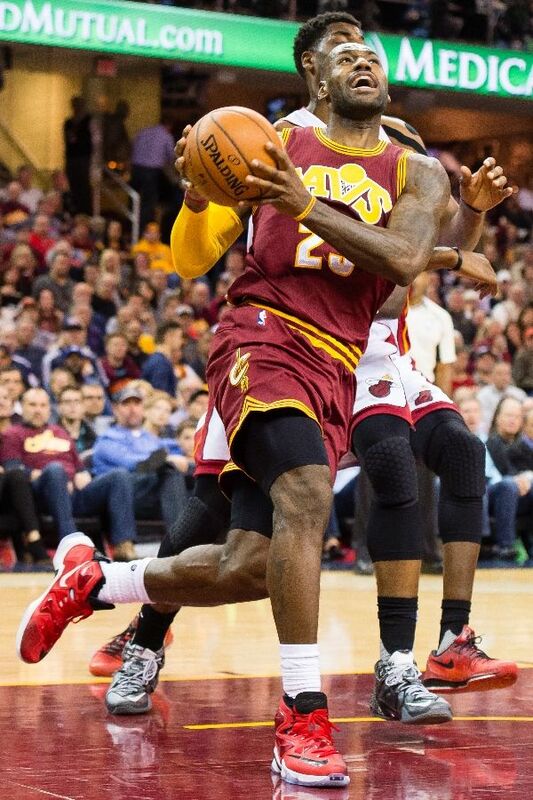 In the case of the Cavs’ first home game of the season, LeBron laced up the so called On Court colorway. His PE version has a Black toe swoosh compared to Red on the General Release make up. 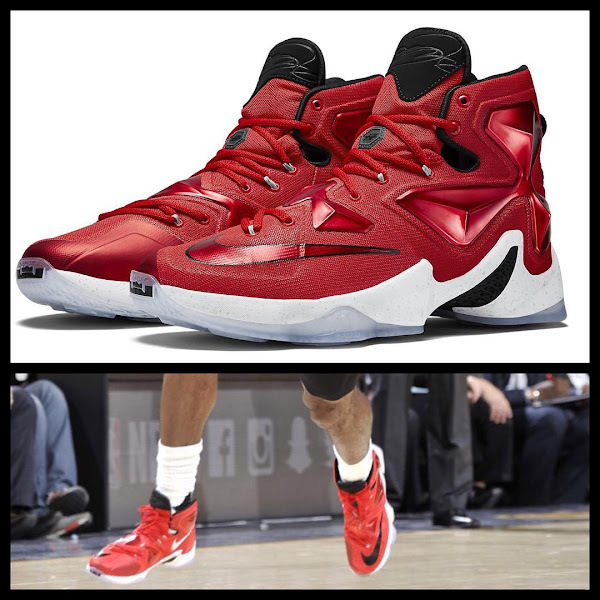 Other than that it’s the same shoe. 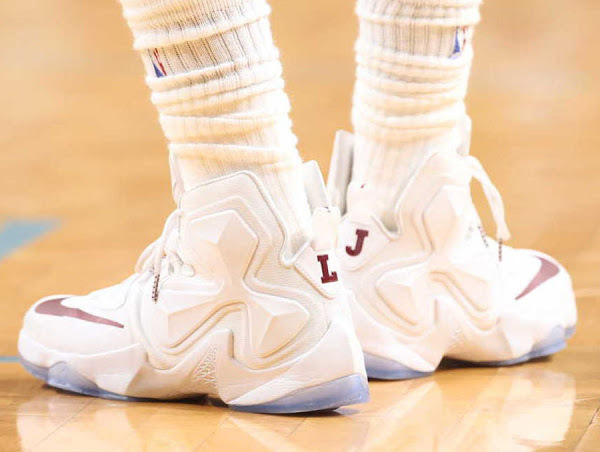 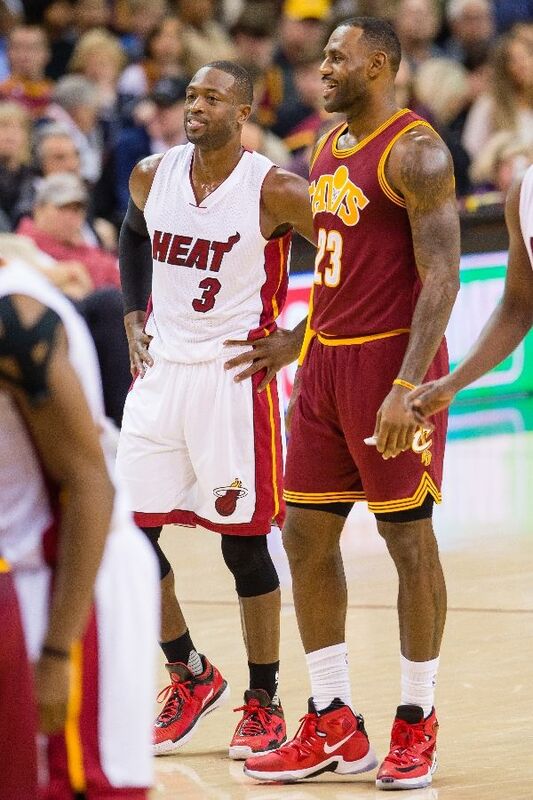 I have a feeling LeBron will move on from wearing GR counterparts pretty soon. 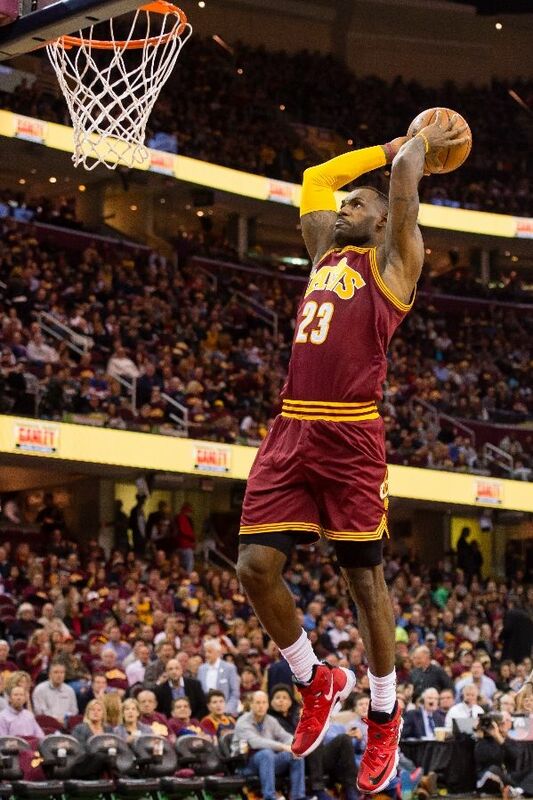 Last season he did that in a total of 8 games!